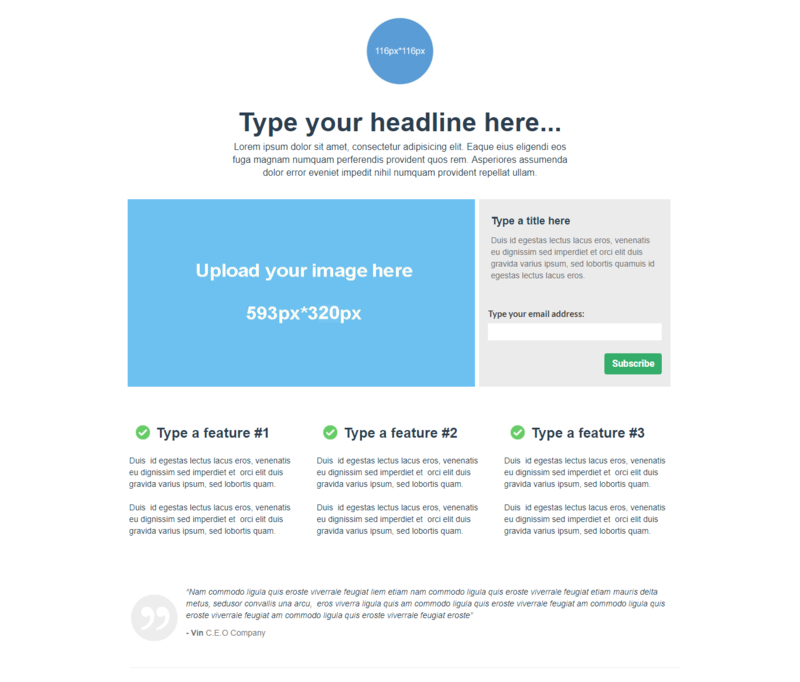 Template 4 of 5 minimalist landing page templates. Get a basic and clean layout and publish it in just a few minutes. Template number 4 of 5 for this series of Minimalist Landing Page Templates. Lots of white space but enough opportunity to convince the visitors to fill in the form using testimonials, 3 column description, hero-image and of course the all important form. The Mini series offers a basic and elegant layout to suit a minimalist aesthetic for a lead generation landing page. Edit the page using the drag and drop builder and then publish in our free hosting account or download the HTML and host by yourself. The service also provide you analytics and lead management features to make managing your marketing funnel really easy.